Cody Vrosh is a self-taught illustrator, painter who loves and works near the SF Bay Area. 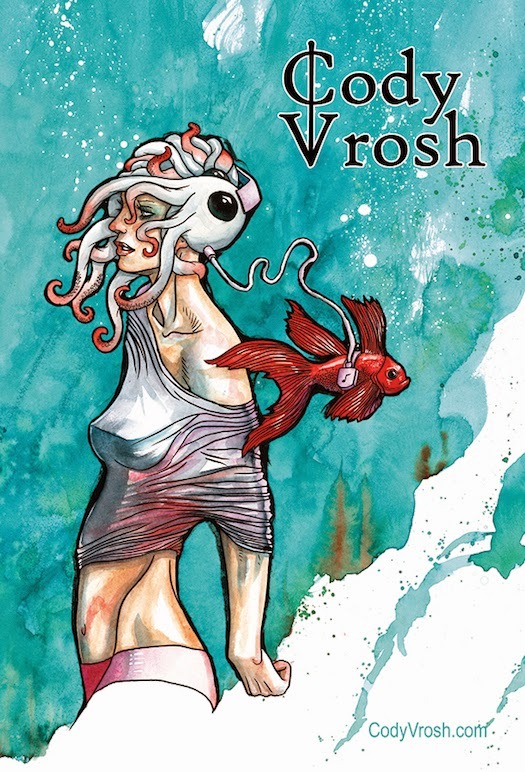 His works include books, prints, original art as well as t-shirt and tie designs. His experimental work uses "fine lines and chaotic ink patterns" to depict "dark and whimsical companionships" which "attempt to express the aspects of one's personality that we typically hide from the world." He's worked on a variety of surfaces and mediums, including hand-cut burned wood and coffee-stained paper. In 2007, he co-founded Binary Winter Press, an independent book press and eco-friendly screen printing workshop. His books include The Irrelevant Redemption: A Steampunk Fairytale, Ash & Ember, Gasmask A Day featuring a collection of images from his Gasmask A Day blog series, /ROOT + Whim, Coffee Creatures a collection of his paintings in coffee and watercolor, and, most recently, The Android's Astrological Companion. 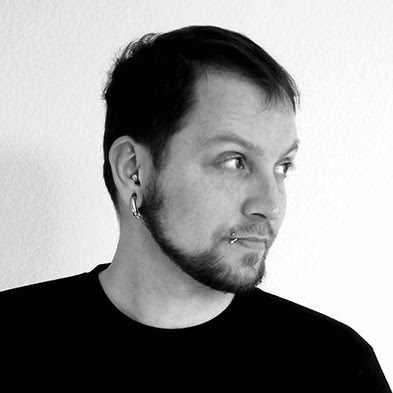 He has provided creative works for clients such as the Modern Eden Gallery, The Museum of Edgar Allan Poe, The Razor Skyline, and Mission: Comics & Art. We're ecstatic to have this innovative talent with us on May 2. Come out and meet Cody, check out his work. Be sure to ask him about some of his passions, such as animal rights, robot rights and his vegan cheesecake recipe.